I'm feeling the espadrille this summer, are you? 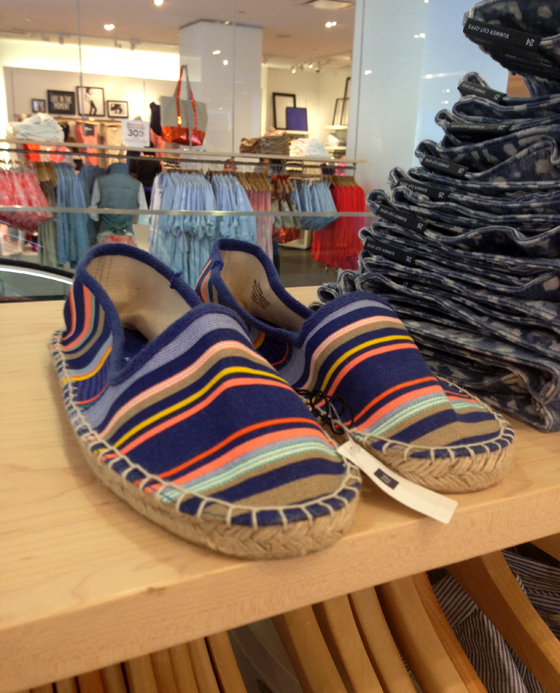 Perfect espadrilles in Gap Herald Square. 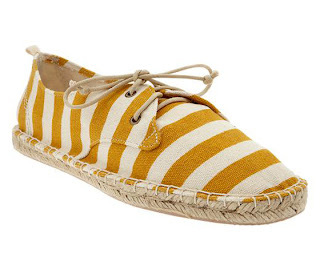 This equally perfect lace-up style found online and at the Herald Square Gap is also making me really feel the espadrille for Summer '13. And I don't think I can resist this sequin tote any longer. 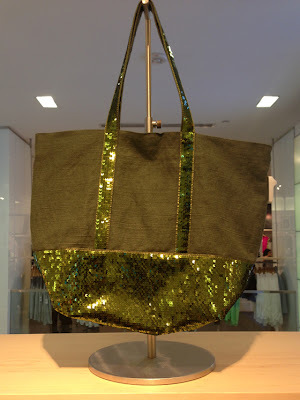 It's green, it's sparkly, and could be my most hip weekend shopping tote/gym-clothes-carrier ever. 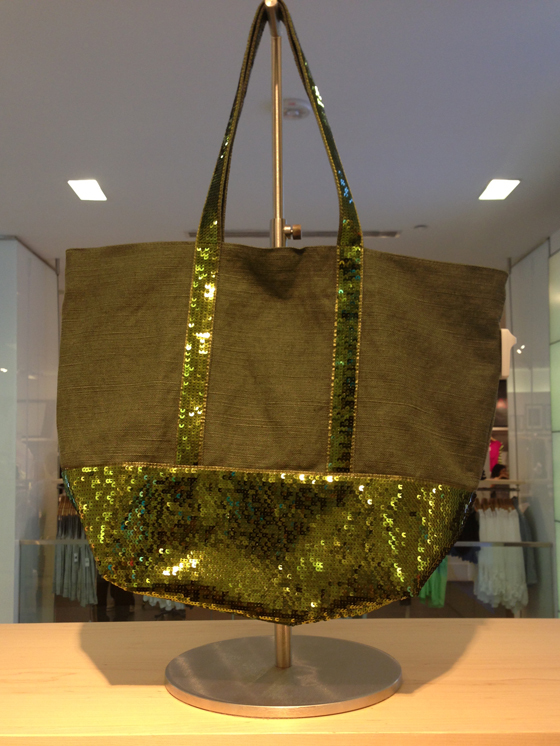 Perfect green sequin tote in Gap Herald Square. 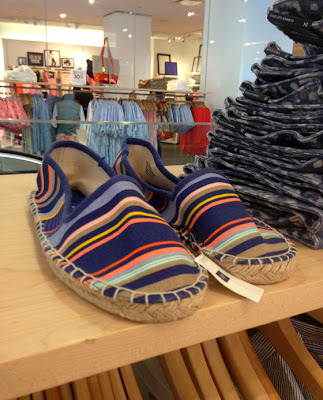 Really loving Gap these days, how about you?